Two thousand seventeen will mostly be remembered for the October wildfires that ravaged Northern California. However, the keys to understanding the vintage and wines are much more nuanced than just what happened over that period of about ten days during which the survival of Napa Valley and surrounding counties felt severely threatened by relentless, advancing fires and high winds. Let’s Get To It…How Are The Wines? I am sure this is the question that is on most readers’ minds, so we might as well get straight to the point. Is all of 2017 in Napa Valley smoke-tainted or not? 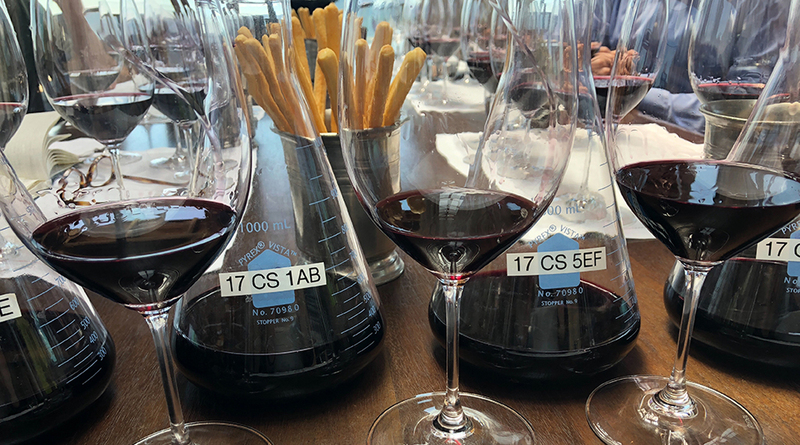 I tasted a wide range of wines during my annual spring tasting of young barrel samples, everything from sumptuous, racy Cabernets with a lot of potential to wines that are clearly compromised and will never be bottled. Readers will have to be very selective, but there are indeed some wonderfully promising wines in this vintage, as well as some examples where smoke taint is impossible to ignore. Two thousand-seventeen started with epic winter floods the likes of which I have never seen in Napa Valley, or anywhere, for that matter. The severity of the winter rains caused road closures, damaged bridges and other infrastructure and was quite disruptive, although the rain was welcome after four years of drought. All of the rain was concentrated between January and April. After that, not a drop fell. Vegetative growth in the vineyards and elsewhere was significant. May saw temperatures in excess of 90 degrees, but the first weather event that most growers point to having a direct influence on the vintage was two long heat spikes in June, each lasting a week or more, which is unusual for both early timing and duration. One of the mitigating factors is the increased use of shade cloth, which literally exploded after the 2015 vintage. That said, not all viticulturists and vineyard managers are fans of shade cloth. “If you need to protect your vineyard with shade cloth, you haven’t designed it properly to naturally withstand the rigors of the growing season,” well-respected vineyard manager Mike Wolf told me recently. Heat spikes can accelerate ripening, but if severe, they can also block maturation, both of which were a concern early on. Warm temperatures with further spikes continued in July and August, culminating in an absolutely brutal stretch around Labor Day during which temperatures reached 120 degrees during the day and stayed high at night. The Labor Day spikes understandably caused tremendous stress among winemakers and vineyard managers. Most vineyards were irrigated aggressively. A number of producers picked quickly, while others chose to wait. Ultimately, the wines will tell which decisions were well judged and which weren’t. One of the most fascinating – and also counterintuitive – aspects of the Labor Day spikes is that Brix levels actually receded after the spikes where canopies were healthy, which is why some wineries chose to let the plants recover and resume their path towards full physiological ripeness. Even so, there are cases in which wines came in at lower sugars than normal, something that is quite surprising for a warm year punctuated by severe heat spikes. A major challenge arrived in the form of several devastating wildfires that started to spread throughout the valley in the late evening and early morning hours between Sunday October 8 and Monday October 9. 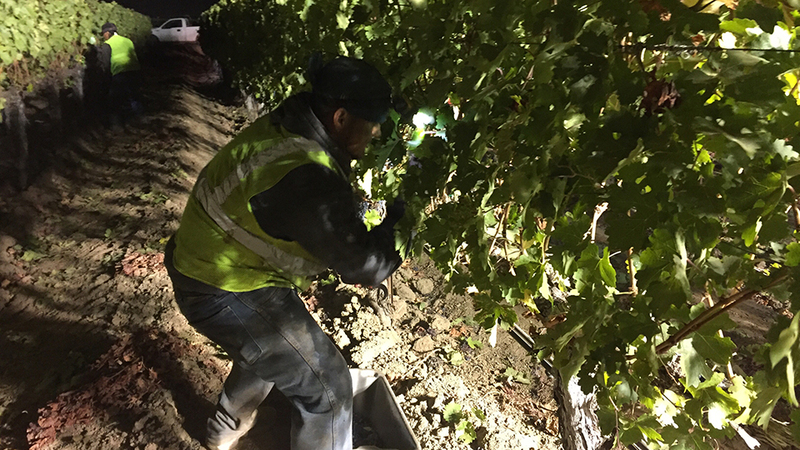 The fires not only blocked off access to vineyard sites for days, in some cases as many as ten days (therefore delaying picking), but also caused power loss at many facilities. Wineries were either forced to operate on generator power or wines were made with the most rudimentary and manual tools in the absence of temperature control. 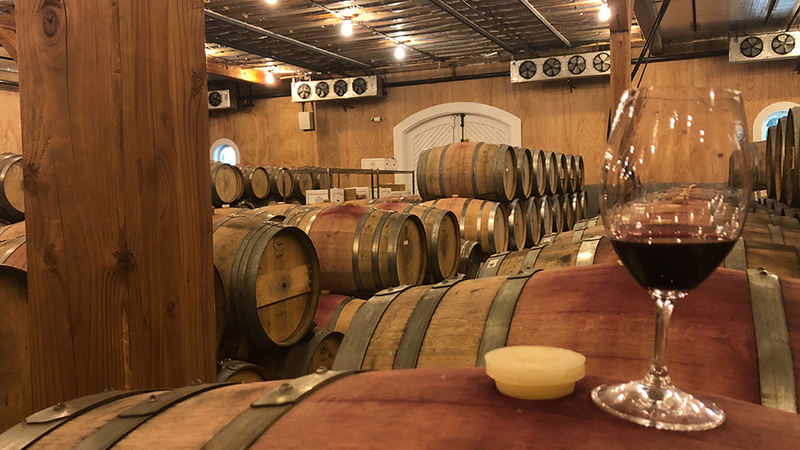 The number of stories I heard about winemakers sneaking in to their wineries with smoke masks to quickly perform a pumpover or two was truly harrowing. On paper, the most favored wines in 2017 are those that were picked on the earlier side, usually by stylistic choice rather than a knee-jerk reaction to weather, and fully fermented by the time fires arrived. Other wines in various stages of fermentation – if made where power was lost – are clearly more vulnerable. And then there are wines made from fruit picked after the fires, which present a whole range of other concerns. That said, some areas, such as Howell Mountain, appear less affected than others. "We were lucky in that for the first few days of the fires, the winds were blowing out towards Sonoma," Claude Blankiet explained. At Blankiet's Paradise Hills Vineyard in Yountville, all of the Cabernet was harvested after the fires. "We did 32 picks instead of the more typical 16 to make sure we were picking at optimal levels of ripeness," Blankiet added. For some winemakers, the vintage was immediately compromised. “I got to the vineyard early on Monday morning [the first morning of the fires] and started tasting through the fruit. I knew right away it was gone,” Screaming Eagle’s Nic Gislason told me. At Screaming Eagle, only the Merlot-based The Flight will be bottled, while there will be no commercial release of the flagship wine. Other producers are taking more of a wait-and-see approach, especially in pockets that appear to have escaped the worst of it. Certainly, I tasted plenty of wines from fruit picked after the fires that did not exhibit any noticeable traces of taint. Even so, the reality is that no one knows how post-fire wines will develop during aging later in bottle. Quite a few high quality producers told me that bottling post-fire lots is not worth the risk to their brands. All that said, I believe the decisions that were made during the Labor Day heat spikes may ultimately be an even bigger determinant of quality in the wines than the fires. Spring is one of my favorite times to taste Napa Valley Cabernets. 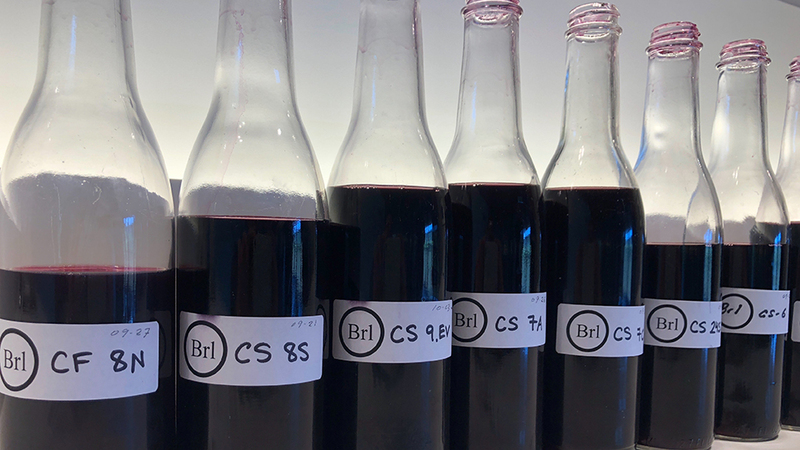 Unlike Bordeaux, where wines are often blended at the end of the year or very early in the new year, in Napa Valley most winemakers don’t start working on core blends until the summer after the harvest. This means that in the spring many wines are still sitting in separate lots, often without having been racked at all. Tasting the wines like this, right out of barrel, is without question the most direct way to get both an early sense of the vintage and understand the subtleties of specific parcels and/or picks. These are some of my favorite tastings of the entire year because the wines are in such a pure state. My spring Napa Valley tastings came about by accident, really. Some years ago, I wanted to get an early look at the new vintage ahead of my big fall tastings, so I started visiting a few estates around my kids’ school holidays just to get a general impression of the style and quality of the vintage. Over the years, those tastings grew to include a large number of properties, a trend that is set to continue in 2019. 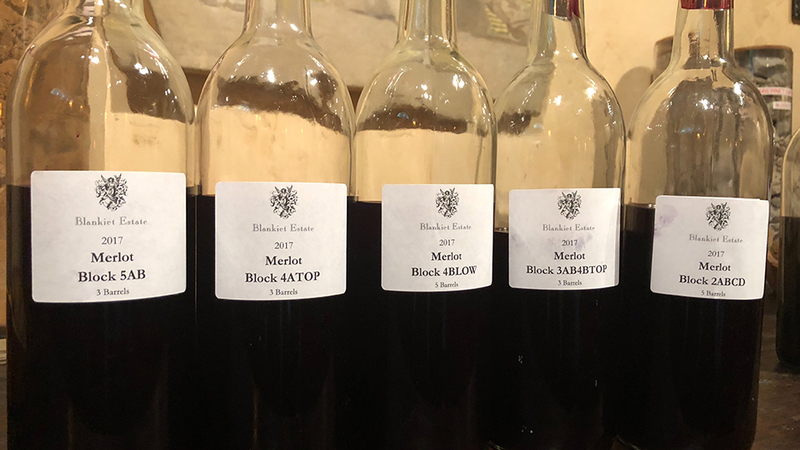 This article is based on tastings of the following estates: Abreu, Accendo, Bevan, Blankiet, BOND, Bryant, Casa Piena, Caterwaul, Colgin, Corison, Dalla Valle, Dominus, The Grade, Harlan Estate, Harris, Hobel, Kapcsandy, Kinsella, Kinsman, MacDonald, Mending Wall, Ovid, Pine Mountain Vineyards, Promontory, Pulido Walker, Round Pond, Rivers Marie, Screaming Eagle, Selah, Stone the Crows, Togni, Ulysses and Vine Hill Ranch.